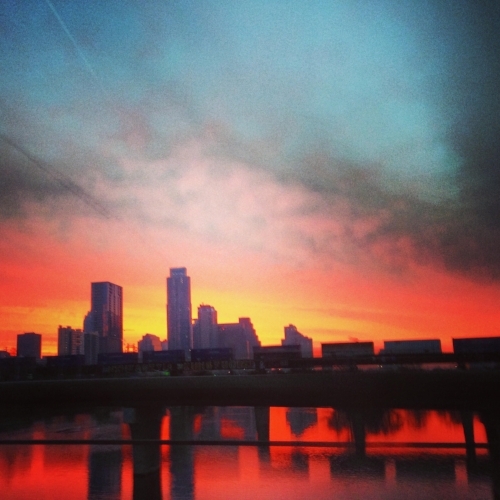 Everyone loves Austin, Texas. It’s one of the few cities in the Lone Star state that has hilly terrain, water running through it, and (somewhat) ample trees. There’s also barbecue and beer and the Alamo Draft House Movie Theater. Austin is, for better or worse, “the cool part of Texas.” And most importantly for our purposes, Austin is home to several great comic shops, too. I lived in Austin from 2011 to 2016, and frequented many of the shops in the city, as I am wont to do wherever I’m living. I’m glad to be out of Austin now—it’s grown so fast and traffic is a mess and in a lot of ways the growth is totally out of control—but I do miss the comic shops there. Recently, I was back in town for a wedding, and I took a stroll down comic book memory lane, in part to refresh my memory enough to write this guide. I was pleasantly surprised to find that in the 2 years I've been away, the shops are mostly still there and just as fantastic as I remember. Let's take a look! This place is the Disneyland of comics. It has everything, from variants to entire sections of obscure indies to rare books on the wall to a veritable army of friendly staffers. In the same little strip mall, it has separate affiliated stores for back issues and games, too. ABC (as hip folks call it) also hosts art shows on some weekends. When I lived in Austin, this was where I took non comics friends to show off the hobby, and it was also where I ended up when my regular shop sold out of titles. Pros: The fact that a shop as large, cool, and comprehensive as ABC exists in a tourist-heavy town like Austin is great for the industry. I’m certain I wasn’t the only Austinite who brought out-of-towners to browse between barbecue and beers. Like I said, this is comics Disneyland, and only a jaded soul would argue there isn’t at least a little fun to be had at Disney. Oh, and it’s part of the increasingly hard-to-find fabric of the Austin community, having been around since 1977. Cons: It's tough to pick a downside here, but parking on the weekend is its own circle of hell. Also, it’s a high traffic store, sometimes crowded, and occasionally not an ideal spot to linger. Dragon’s Lair Comics & Fantasy is the cleanest and best-lit comic shop I’ve ever seen. There’s a cat that walks around inside, and the whole place smells fantastic. Their selection rivals ABC. The two shops also compete for big name signings. While ABC generally attracts creators who live in town (Donny Cates, Becky Cloonan, etc. ), Dragon’s Lair shells out cash to pull big name creators from elsewhere. I remember them having Marjorie Liu a week after she dropped Monstress and Brian Bendis the week of Civil War II, not too shabby. Pros: At Dragon’s Lair you’ll find tons of books in a clean environment, as well as a ton of games and sizable area within which to play them. Their employees wear uniform shirts and headsets, and they have an entire team of staffers in back doing something on computers. Cons: I could just copy and paste the pros section. Dragon’s Lair almost feels too polished, and what are all those people in the back doing on computers? It’s similar to ABC in that it has deep roots in the city but feels less personal these days than it probably used to. Tribe, from what I understand, was started years ago by some guys who used to work at Dragon’s Lair, or maybe it was ABC. Whatever the case, they wanted to do their own thing, so they opened Tribe. Although this has since changed, when I lived in Austin Tribe was the only comic shop south of the river (which is technically a lake—Austin is, quite famously, a weird city). There’s a real sense of community at Tribe, in that the staff is small and regulars often linger at the shop, eager to make conversation about their favorite books and the industry. Tribe, however, doesn’t seem to move anywhere close to as many comics as the other outfits in town. Pros: More intimate feel than ABC or Dragon’s Lair, and the staff is ready and eager to pontificate at length about comics. It’s also located to some of the more touristy parts of town along Lamar and South Congress, and it’s almost right next door to a Torchy’s Tacos, so you can stop in real quick on an afternoon out or while grabbing a bag of munchies. Cons: The selection isn’t as extensive as the other shops in town, and they often sold out of the most popular books the day of release, early in the day at that. This is a sad section for me to write, because Kings Cache grew from the demise of Capstone Comics, which was my favorite shop in Austin. Capstone was entirely focused on selling comics, rather than games, and it had an active community of buyers and sellers. They kept high value books in a glass case at the register, and it wasn’t uncommon to see first appearances of major Marvel characters, old DC event books, and even newer stuff like the first issue of Saga. After a dispute with a landlord who wanted to capitalize on Austin’s growth (Austin, it should be noted, is brimming with schemers and cash grabbers these days), Capstone closed its doors (the space where it was located is still vacant, btw), but some regulars got together to open Kings Cache, which is located a bit further up north inside Kings Hobby. It’s starting small, but it's already a chill place where you can linger for however long you like, talking comics. Pros: All comics and super chill. Plus, King’s Cache offers a discount to regulars who subscribe to a certain number of books, which is something you don’t find at Austin's larger outfits. It also has the old Capstone glass case filled with rare books. Cons: It’s super tiny, for now. So small, in fact, it took me a few moments once I went into Kings Hobby to figure out where the comics were. 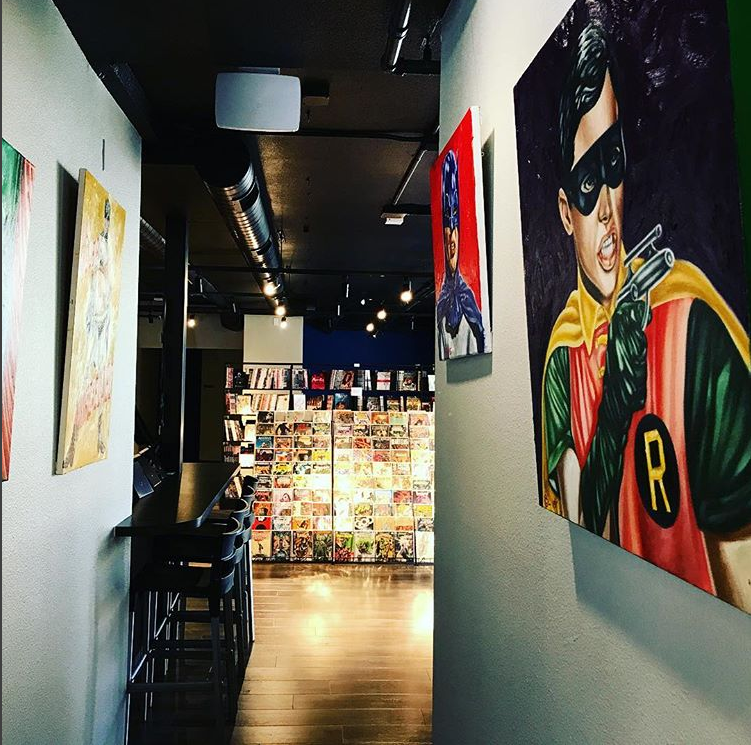 There are also some newer entries in the Austin comic scene, as well as some that have been around a while but are a bit far from the city center. Titan Moon Comics is a great option for those who live in the far far north of town in Cedar Park, while Juniors Comics and Cards is down in the far far south. While out in Round Rock they have Rogues Gallery Comics & Games, although that’s not technically within Austin. Finally, one of the newer entries to the Austin comics scene is Hops and Heroes Comics, which is actually a non-profit with an emphasis on literacy programs driven by graphic storytelling, a cause near and dear to my own heart. Also, because it’s Austin, I guess the place also sells beer? Or rather, its website says it plans to one day. It's located on Cesar Chavez in a rapidly-changing area surrounded by all manner of hip drinking locales, so that makes sense. There is also beer basically everywhere in Austin, like, seriously. Basically, if you were Austin’s friends you’d be whispering behind Austin’s back about it having a problem. No wonder everyone wants to live there, right? Oblivion Comics and Coffee in Sacramento, Calif.
Big Brother comics in Sacramento, Calif. I moved to Sacramento almost two years ago, driving from where I lived in Austin, Texas to Denver to a friend’s wedding in Wyoming, over the Sierra Nevadas into town. My car—a Hyundai Elantra then—was packed with boxes, including three long ones of comics in the trunk and a short one in the backseat with my valuable issues. I didn’t want to be in Sacramento. I knew nothing about the city and my family was in the Midwest, but I was willing to try because I’d always loved California and my significant other got a great job there and found a beautiful upstairs apartment in an old Victorian downtown, about nine blocks from a comic book store, which was downright walkable. I got to Sacramento on a Tuesday. The next morning, #NCBD, I walked to that shop and found what looked like a moving crew loading arcade games, boxes, and shelves into a U-Haul. Turns out as I was finishing my drive, a fire swept through the store and closed it, temporarily. So, I did what any serious collector would: spent the weeks while they relocated (nearby, thankfully, 7 blocks now!) trying other comic book shops in Sacramento, a process from which I learned Sacramento is a city that supports small business, a place where people either don’t know about or don’t like shopping online, a place with a thriving comic book ecosystem. People also don’t post great user reviews there (they’re all either furious or glowing, which probably makes them typical). So, in the unlikely event any of you find yourselves in town, I’d like to share what I learned about comic book shops in Sacramento with you today! Also, if you ever visit, say hi. We’ll grab a whatever-Sacramento-is-known-for (I still don’t know) and talk comics. Empire’s is like a clubhouse. There’s always a movie or TV show on in there, a few regulars hanging on the couches, and the owner’s adorable pugs running around, doing everything from guarding the door, to chasing each other, to playing with visiting dogs that belong to shoppers. When I first moved to town and didn’t have a new job yet, I drove out to Empire’s most Wednesdays. I however, haven’t been in some time because it’s far from both my house and office. It’s a shame, too, because of all the shop’s in town, Empire’s is the one most dedicated to the medium. You can just tell the owner loves comic books and loves selling them. Pros: Of all the shops in town, this one has the most knowledgeable and engaged owner. Ben Schwartz sets up online chats for his regulars with big name creators like Rick Remender and Brian Michael Bendis; he does a video stream on Facebook of his favorite books each Wednesday; and he regularly organizes group trips to see new comic book movies at Studio City Grill, the nicest theater in the Sacramento area. This shop also does a great job stocking books. With the possible exception of A-1 Roseville, Empire’s is basically the only place in town you can find copies of Valiant books or Giant Days on the rack. Plus, it hosts book clubs, a weekly night for writers, semi-regular live model events for artists, stand-up comedy, and art shows. Schwartz also opens his store up regularly to Good Morning Sacramento segments, and he runs Empire’s Comics Vault Press, which produces books by local writers and artists. Cons: The location is an issue, at least for me. Empire’s is in a stripmall along a piece of Fulton Ave. that isn’t near much else of note and certainly isn't walkable from downtown. If it wasn’t for this, I’d be far more likely to be a regular at Empire’s. But c’est la vie. Also, the shop is so good to its regulars, that it gives anyone with a pulllist first come, first serve access to its massive Free Comic Book Day activities. If you don’t have a pulllist with them, however, you’re liable to wait hours just to get into the shop. I buy the majority of my books at Big Brother, which is the shop near my house that burned down right before I got to town. As I mentioned, its new location is even closer to my house, and, as the guys there will attest, it’s much cooler than the old spot. Anyway, if Empire’s is like a living room, Big Brother is like Sacramento’s Gen-X comic book basement, with little nooks and crannies lined with the owner Kenny Russell’s collection of vintage Star Wars toys. This store may not have the selection of comics Empire’s does, but it more than compensates with its games section, which is always evolving. It’s located in Midtown, a walkable neighborhood of restaurants, art galleries, bars and a weekend farmer’s market. This is one of those shops that has superseded the geekiness comics have long been known for to become a cool place to hang out, whether you’re just picking up your weekly books (they offer a great and uncomplicated discount to members) or chilling in the back to play games at the many tables. Pros: You’ll feel cool by extension for shopping at this store, due to everything from the location, to the guys bantering behind the counter, to the laid back vibe, to the dim track-lighting mounted on the ceiling. Kenny is also the most generous owner in town when it comes to discounting books, and even if you don’t always agree with him, he’s often making a strong and enthusiastic point about something. Cons: The selection is strong, and they’re great about ordering whatever you ask for, but they don’t stock rows of back issues or a wall of rare books like many of the other shops in town. Also, as cool as Midtown is, parking near Big Brother can be a bit rough. But that’s part of the fun of living and shopping in a city! Anyway, what do I care? I can walk or bike there. Nerds. Of all the stores in town, A-1 Comics is the most traditional, probably because it’s been around the longest. A-1, which is owned by former San Francisco 49er (seriously, he played one season with them in 1981 at tight end) Brian Peets, has been in business for 27 years, and it’s where you’ll find what is easily the largest collection of rare and vintage books in town. A-1 has also grown into a chain that now has three locations: Roseville, Folsom and a part of Sacramento that may as well be suburban Carmichael or Citrus Heights, it’s so far from the urban core. I stop into A-1 Folsom every Wednesday during my lunch, because the office for my day job is in that area and it’s a quick way to get some books to read in Subway, where I enjoy a sandwich and a quick hit of deep melancholy (I’d go somewhere else but Subway is also close, and it’s only $9 for a semi-healthy turkey on wheat, what do you want from me?). Pros: If you’re a serious collector looking for old and rare books, this is the best shop for you. Their wall books are unmatched by Empire’s, which has a few, and Big Brother, which doesn’t bother with all that. A-1 also have a massive store-wide sale what seems like every other weekend. So, if you’re eyeing something expensive, you can usually just wait a week or two and get it at a discount. They also do a great job of spreading comics to parts of the Sacramento area where there aren’t any shops, as you can see from their locations in Roseville and Folsom. Like Empire and Big Brother, A-1 also has a discount for subscribers, although it’s not as generous as Big Brother. I should also note that A-1 is the rare shop in Sacramento that buys used comics, which is a whole lot of hassle they don’t have to put up with (even if I had an off-putting experience with their buyer at the Sacramento shop, although I should note the guy in Roseville was great). Finally, Oblivion Comics and Coffee, from which you can see the capital downtown bears a mention, if for nothing else than its cool concept. It sells coffee AND comics! There are some newer shops in town, but I’m hesitant to mention them before I see if they’re built to last, and we recently lost a couple shops as well. Pour one out for Metropolis Comix which was down by Elk Grove and was a pretty cool shop. Pour less out for Broadway Cards and Comics, which got a write up by Bleeding Cool and a couple other sites, but locally had become known for its odd and intense focus on selling Yu-gi-oh cards.